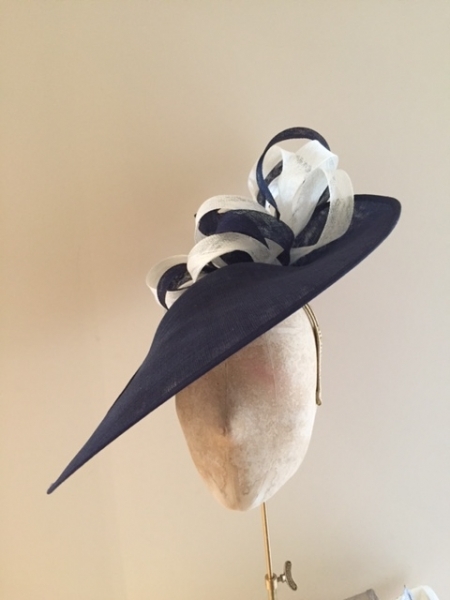 The Nigella Dish hat is the perfect hat for a mother of the bride or groom. 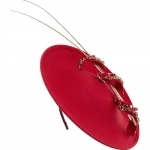 The Nigella is made up of a felt dish base, adorned with a crystal encrusted twirl. 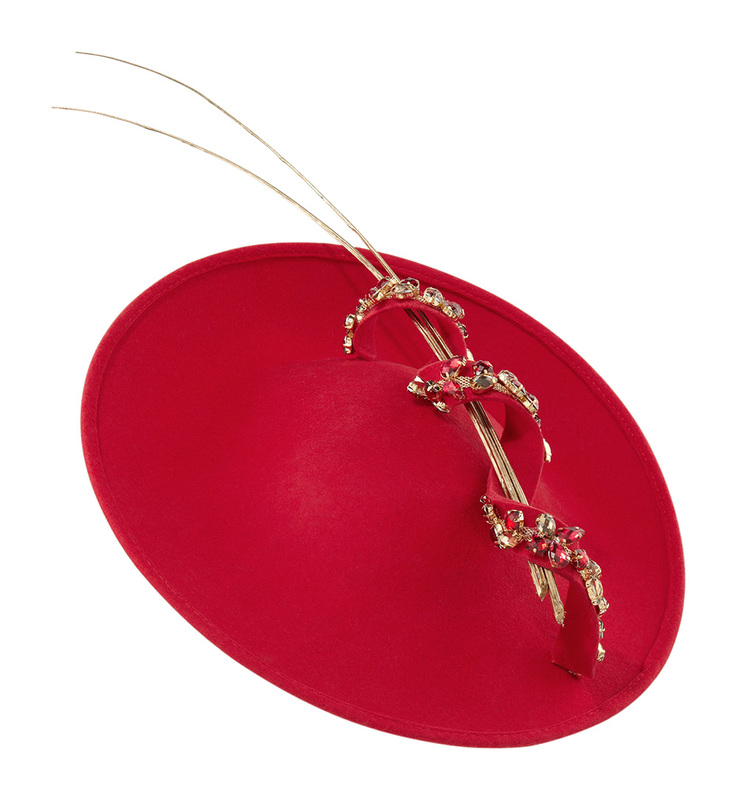 Two delicate quills are threaded through the twirl to give the hat a really glamorous finish. 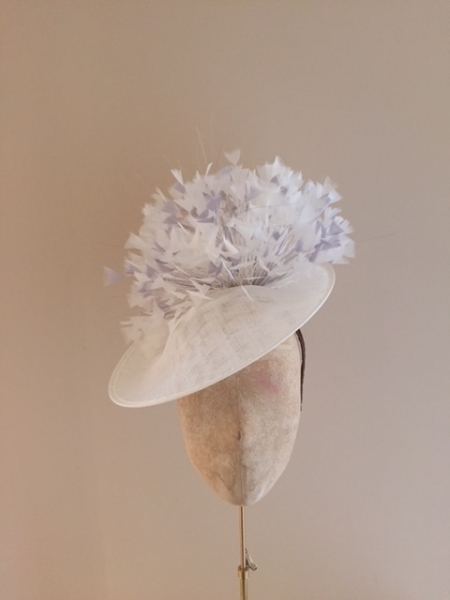 The Nigella Dish hat is the perfect hat for a mother of the bride or groom or wedding guest. 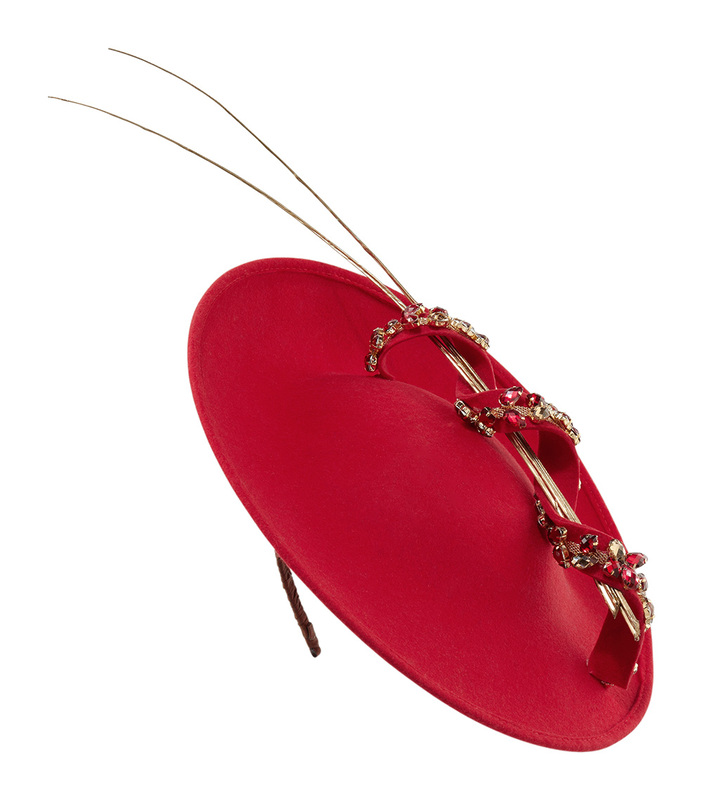 The Nigella is made up of a felt base, adorned with a crystal encrusted twirl. 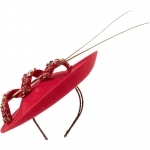 Two delicate quills are threaded through the twirl to give the hat a really glamorous finish. 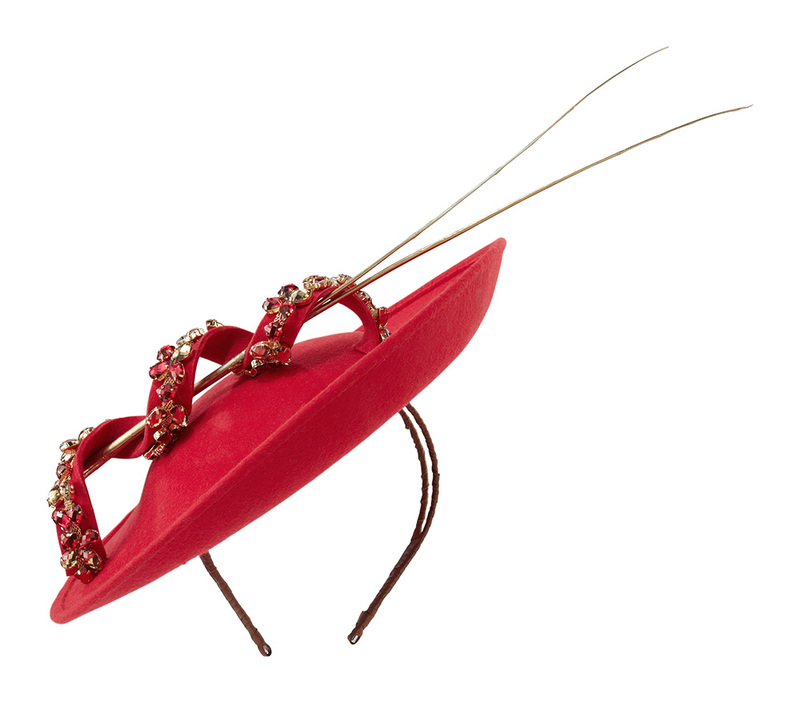 The Nigella Dish hat comes on a hair band. We will wrap the hairband for extra comfort and to ensure that it matches with your hair colour. At Hostie Hats we want you to be able to make your hat your own. We can make the Nigella in a wide range of colour and crystal variations. For the hat base you can choose any colour from our felt colour chart. The quills can be in any of these colours and the twirl can come embellished in any crystal from our beading colour chart. 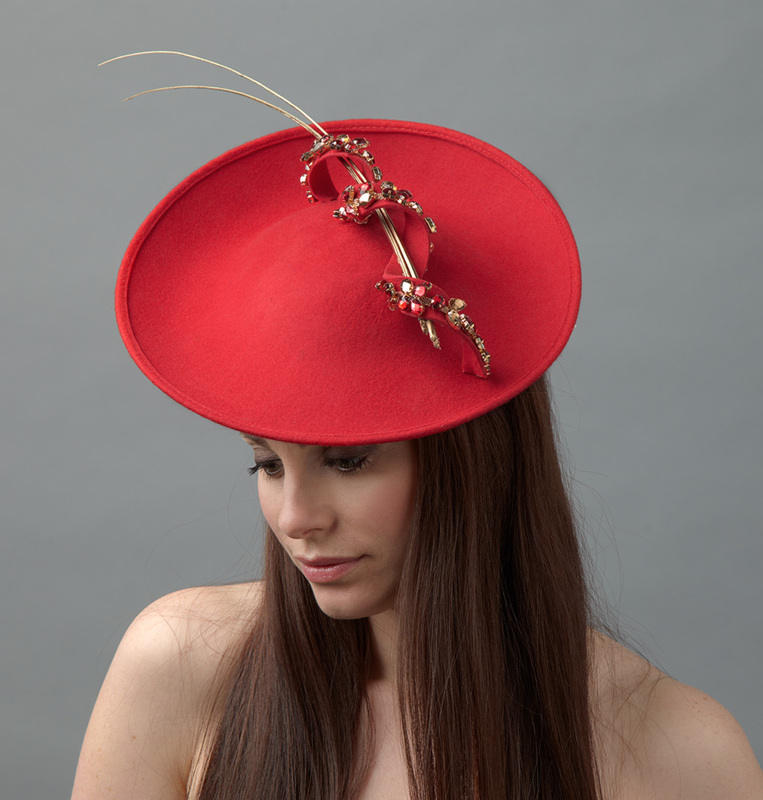 If you’d like some assistance in matching your hat to your outfit then we offer a styling service free of charge. All you need to do is to tick ‘Request colour consultation’ as you check out and we will be in touch to offer our help and advice. We are more than happy to send colour swatches out to you to ensure that you are 100% happy with the colour choices before we complete your hat.